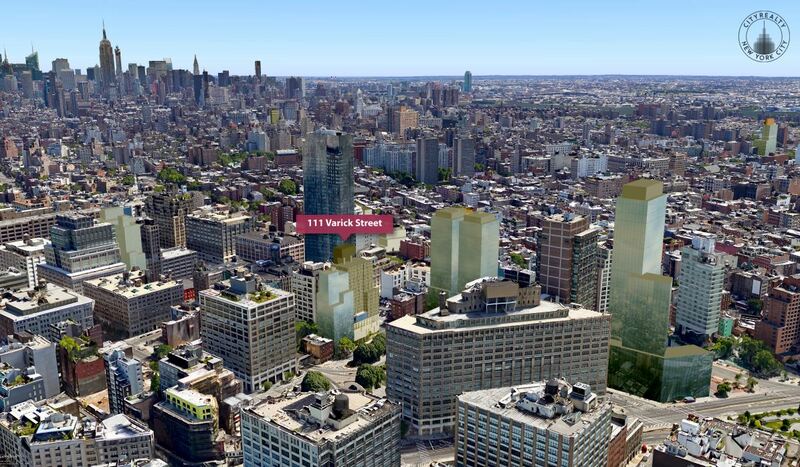 At the edge of the Holland Tunnel’s Jersey-bound vortex, Madigan Development is planning to build a 15-story, 49-unit residential building at 111 Varick Street. Anchoring the southwest corner of Broome and Varick Streets in West Soho (aka Hudson Square), the tower is replacing a multi-story parking garage and will sit adjacent to another planned 19-story residential tower at 568 Broome Street. 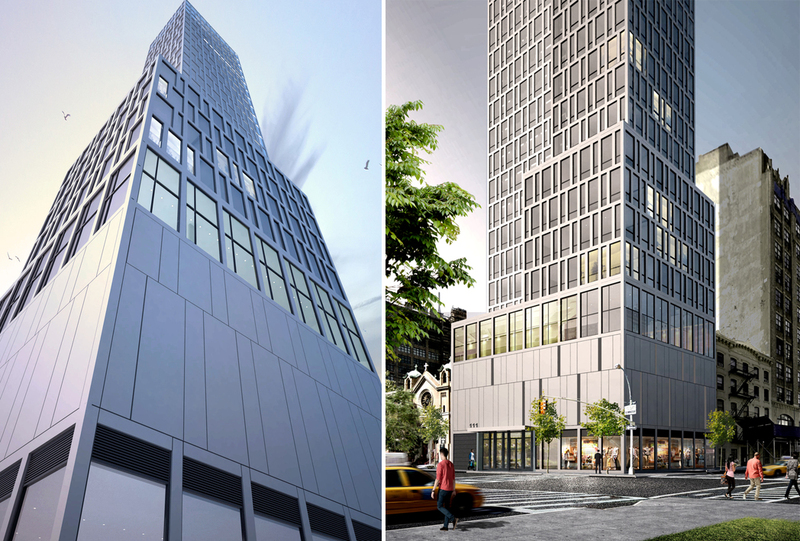 Renderings of 111 Varick show a blocky building clad in a drunken checkerboard pattern of glass and stone. 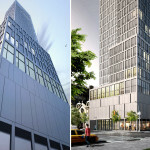 While it has yet to be confirmed if the building will be a condo or rental, large layouts and its prime location between Soho and Tribeca allude to condos. 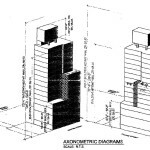 Construction filings from last May called for ground-level retail, a second-floor garage for nine cars, residential amenity spaces on the third and fourth floors, and 49 apartments above. Since then, it appears Stephen B. Jacobs Group has been switched out with S9 Architecture & Engineering as the building’s architects of record. S9 is an affiliate of the mega-firm Perkins Eastman, and the depicted stone-colored facade and alternating window pattern is reminiscent of their 160 East 22nd Street condo-tower they designed for Toll Brothers. The renderings are also in line with submitted zoning diagrams showing setbacks at 65 and 125 feet and a double-height, second-story parking garage. 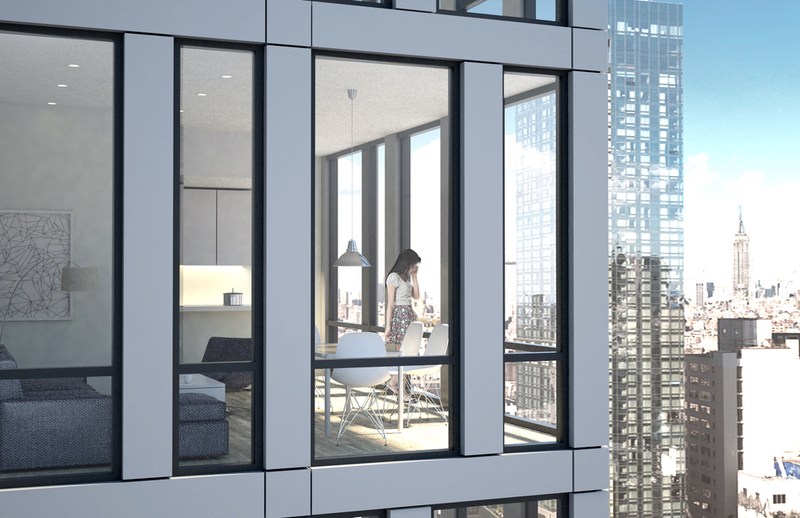 Looking into one of the upper-level units with Trump Soho in the background. Since being rezoned in 2013 to allow for the creation of a more 24-hour neighborhood and increased residential uses, the western fringe of Soho is projected to receive up to 3,000 new apartments over the next decade. 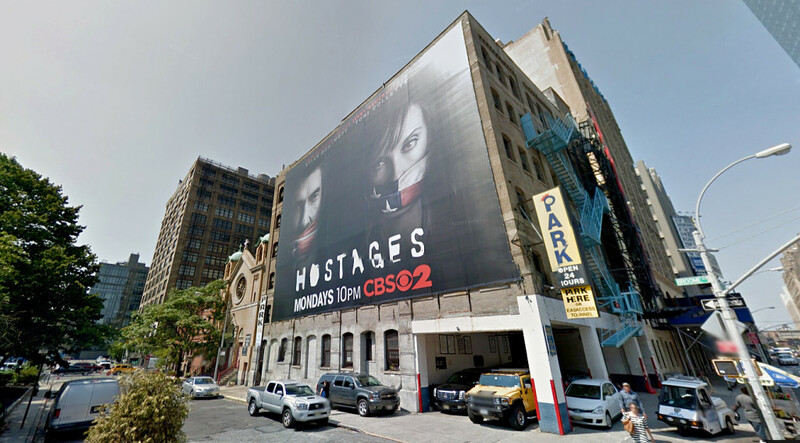 Next to 111 Varick Street, the Agime Group is tearing down Our Lady of Vilnius Church and a neighboring walk up to build a 19-story, 33-unit condominium tower at 570 Broome. Across Varick Street at 555 Broome, broker-turned-developer Michael Shvo, in conjunction with Bizzi & Partners and Itzhaki Aquisitions, is planning a 115-unit condominium tower. 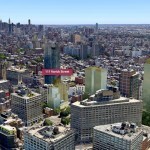 Find listings for 111 Varick Street at CityRealty.